Most of our clients ask the same important question … How can I narrow down my 1000 pictures to only 100? This is probably one of the top reasons why couples procrastinate on making their wedding album, it can be a daunting task to take on. We want to help … we’ve found that once you break the day down into sections it becomes much easier. The golden rule is "go with your instinct" if you love the picture include it, don't worry about what other people would do and don't forget we can make a picture exactly how you want it with the right crop! Need a visual reference of a complete wedding album... below are a few wedding albums we've designed for past clients. Click on the links below and enter the password to view these album layouts. Break down your wedding day into sections. Below is a guide you can use to categorize your wedding day. We've also included an approximate count of photos per section. Keep in mind every wedding is unique so your sections may vary. 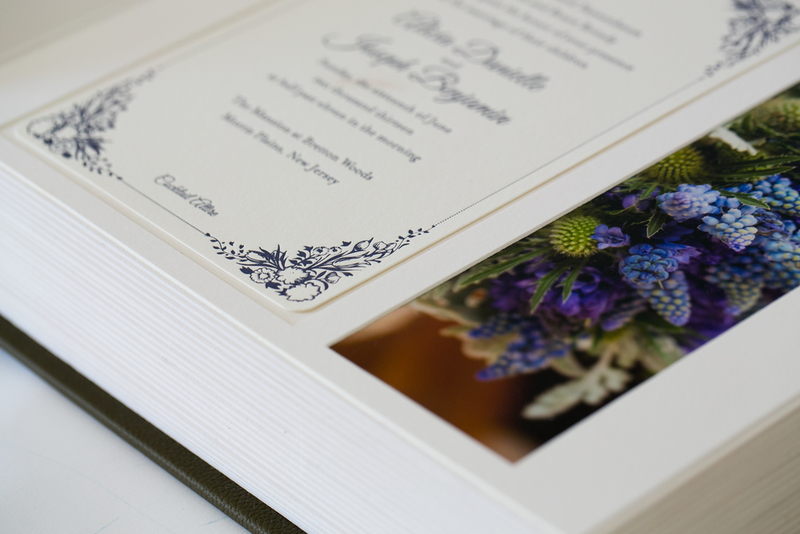 1 picture - Set the scene... use a photo of the wedding invitation, your wedding bands, or your physical invitation can be installed in our Art, Styla and Fusion albums. 1 picture - We love to use one great picture of you two at the end of the night. How many images should my album have? Generally, our clients stay within 75-120 images for their wedding album. However, this can vary according to the size of your families and number of guests at your wedding. The more people you have to represent in your album, the more images you will have. When narrowing down your pictures keep in mind you don’t necessarily need 5 pictures of your Aunt Helen, use one great picture of Helen and Uncle Jack... then check them off your list and move on. How many images should I give to The Album Room to design my layout? We ask that you give us extra images to work with. For example if you want to keep around 100 images in your album please give us around 120 images. If you like two images that are similar and you can't choose then include both, we will judge which one looks best with the rest of the layout. Do I need to include any detail pictures? Definitely, detail images are what tie your album together. These are some of the most important pictures when telling your wedding story. We love a variety of detail pictures to choose from. Ideas of details to include... your bouquet, your something old, the table arrangement, favors, that amazing wedding cake, even the view of the rainy day. These are the little details that make your wedding your own. Should my wedding album be in the exact order that it occurred? Not at all, don’t get caught up in the exact timeline. If your family shots were taken before the ceremony it doesn't matter that they appear later in the album so as not to break up the story. We are here to help, get in touch if you have any questions.